Greater Poweshiek Community Foundation will celebrate the launch of the 2018 Big GIVE fundraising campaign with the annual Spirit of Giving event which applauds the important role donors and volunteers have in community success throughout the county. The public is welcome to attend the event to celebrate with the Foundation. Heavy hors d’oeuvres and complimentary refreshments will be served courtesy of Grinnell Mutual Reinsurance Company. “Each year in October we celebrate our donors and give special recognition to several community members that have made a particular impact through their service or giving,” says GPCF Executive Director Nicole Brua-Behrens. The 2018 Spirit of Giving event on October 4th will be hosted by Grinnell Mutual Reinsurance at the Bartelt Conference Center. The event begins at 5:30 pm with a social hour and the entertainment for the evening will be a “Trivia Night” theme. Attendees will also be able to bid on their favorite GPCF funds in a modified silent auction that awards proceeds to causes and funds that are supported by GPCF. Honorees this year include Doug and Lorna Caulkins who will be presented the Connie Marshall Spirit of Giving award for their long-time dedication and support of many community projects. The Mentor award will go to Clem Bodensteiner for his years of service to Big Brothers Big Sisters. 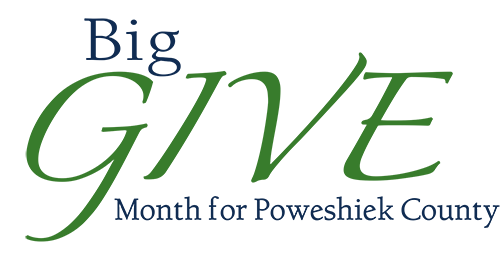 Bayer Crop Science, formerly Monsanto, will be recognized as the Business Partner of the Year for several impactful grants in the community. Danica Nolton will receive the Youth Spirit award for her active role in fighting childhood cancer. 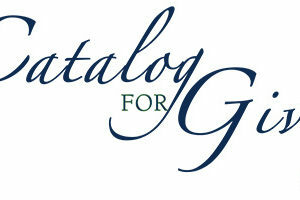 Click the Catalog of Giving image to view or download a list of funds and projects. “Big GIVE Month is a focused effort to help donors—first-time and repeat—to find the fund or project that best matches their giving interest or to create a fund that is meaningful to them,” said Laura Manatt, GPCF Board President. 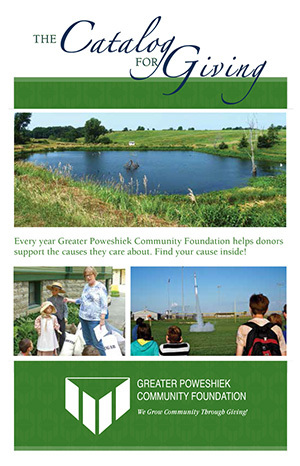 “GPCF offers a variety of ways to meet donors’ personal philanthropic goals through grants, scholarships, donor advised funds, and memorials.” During the 2017 Big GIVE campaign, donors from throughout Poweshiek County contributed nearly $200,000 to 46 different funds administered by GPCF. Since the Foundation’s inception in 1989, GPCF has helped donors put their money to work in Poweshiek County to address a variety of needs. Donors have established funds to serve those with mental health needs, to serve those who are hungry, and to provide for needs of at-risk elementary students. Since 2000, GPCF has awarded more than $16.8 million on behalf of generous donors to charitable agencies in our community. Blanchard also reminds donors of the tax benefits of giving to area nonprofits. “Gifts to any of the GPCF endowed funds qualify for Endow Iowa Tax Credits. This is a 25 percent Iowa state tax credit in addition to the standard federal income tax deduction for certain charitable gifts. While the 2018 tax credits have been issued, donors may carry credits forward into 2019,” she said. Donors may specify which fund or project they wish to support when sending contributions to GPCF, P.O. Box 344, Grinnell, Ia., 50112, donating online at www.greaterpcf.org , www.ahrensfamilyfoundation.org or contacting the Foundation Offices at 641-236-5518. GPCF and the Claude W. and Dolly Ahrens Foundation partner through the Community Support Services program to provide back office services for programs and donors.